Last semester I taught an Integrated Learning/Creative Action sophomore class on Branding and branded the venerable Beyond Baroque Literary Arts Center. I first became acquainted with it when my old English Professors in Pomona College, Richard Barnes and Robert Mezey, gave a poetry reading there. It was a balmy summer night, ensconced in a splendid, old building exuding character, I sat among a community of writers, young and old, and experienced beautiful poetry. I guess this is when I developed a soft spot for BB. Many years later when I began my novel, I started attending Annette Robinson’s Prose and Poetry Workshop for Publication. 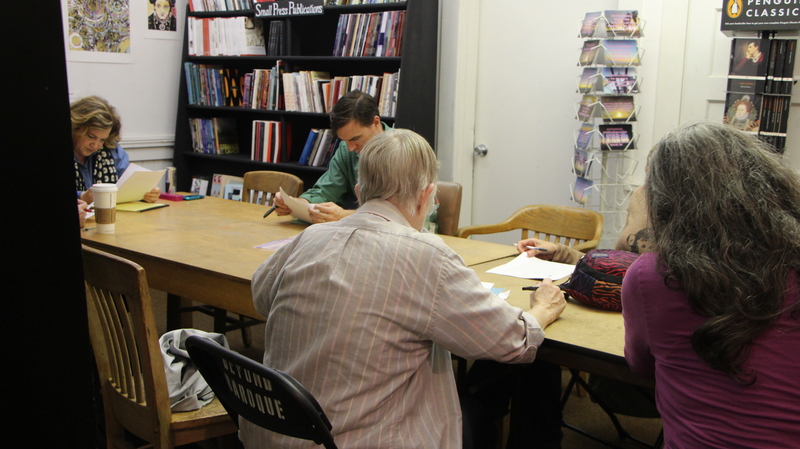 It was composed of a motley crew: crazies off the streets and gray haired hippies, but there were also writers who worked diligently at their craft, including those in the Monday Night Fiction Workshop led by Laurie Horowitz. These two workshops helped me through the marathon of writing a historical novel. After six years, I finished my first book, “Midwife Shin.” When an opportunity arose to teach a branding class, I decided what better way to teach branding and give back to the organization that had given me and others so much, but by branding Beyond Baroque? Since its heyday when Charles Bukowski presided over the poetry workshops and Exene Cervanka served as the librarian, Beyond Baroque has been the epitome of left-wing, punk, high-literary Venice, but it has also always been short on funding. Richard Modiano, the Director, confirmed this when I asked him, “What is your main problem?” He replied, “solvency.” I knew a class on branding could not fix this problem, but maybe we could lay a foundation that could solve this problem one day. Their midterm projects were presented to the senior staff of Beyond Baroque: Richard Modiano, Carlye Achibeque, Director of Special Events and Quentin Ring, Director of Development. Many students came to the conclusion the organization was out of sync with the community. They perceived BB as an organization founded and populated mainly by white, left-wing bohemians who had little money and created “art for art’s sake,” and lived in Venice, “the ghetto by the sea.” But today’s Venice is more “Silicon Beach,” populated by young, multi-ethnic and multi-cultural creative professionals with disposal incomes who work at places like Google or Snapchat. For these folks, art and the act of creation is not done mainly for themselves and their group of like-minded friends, but for a wider audience, even a global audience. The class decided for BB to solve their problem of solvency, they had to reach out to this new group of people. Each student came up with many ways to attract this group; crowdfunding, punk concerts, redesign of the space; but the idea that attracted the most enthusiasm from the class and the staff of BB was to start a “digital word-of-mouth” – a social media campaign. There was a social media network already in existence at BB, but there was little new content, it was not unified and generated little interest. The students set out to change this by creating content that could be uploaded immediately, but also a template that could be used over and over again. Fittingly enough, April was National Poetry Month and the subject of the first video on youtube. Created by Kaki Hudgins and Jon Taylor, their clever use of typographics and motion graphics creates a dynamic dramatization of lines from poems. They also created this title sequence template that could be used at the beginning and end of all videos, literally branding them. Many students were inspired by the writings and the artists who created them. April Kim produced a portrait of poet, Glen Fitch, and his poem, “Two Virgins: If There Still Are Any.” This was made when Fitch was very sick and shortly afterwards bade farewell to Beyond Baroque and Venice. It is a testament to April Kim’s branding and video making skills that she was able to create this elegiac record of a man and his work. Often we promoted the message by linking the content of each site. For instance this image by Renee Howard went out on Instagram as the above video launched. 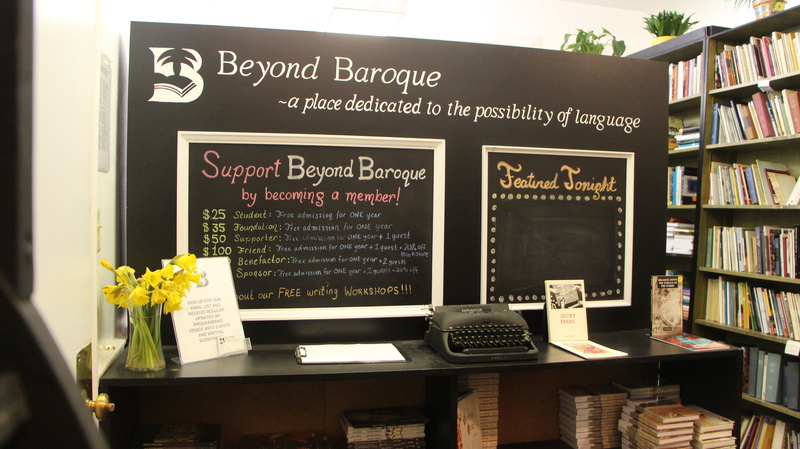 Of course, Beyond Baroque is first and foremost a place where writers work in free workshops. These weekly sit-down meetings are often nurturing as Glen Fitch mentions, but they are also brutally energizing. Mellanie Urquiza, a filmmaker, put her script through a critique in the Thursday Screenwriting Workshop and lived to make a video about it. This class was an eye-opener for many. I was told the board members of Beyond Baroque were pleased and impressed with the student’s work. I hope this exposure will not only bring them new writers, artists and audience members, but also that these new Beyond Baroque members will shape this venerable institution, making it vital and essential to Venice, again. As for my students, they got an invaluable taste of how to harness their creativity in designing and implementing solutions to the age old problem of solvency in the arts. 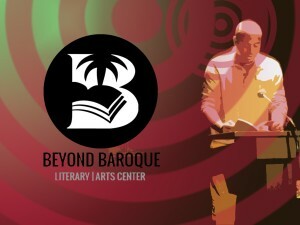 For me, I am glad I passed on the warm feelings I have for Beyond Baroque to my students. I hear some of them are attending the workshops and events. I look forward to seeing them at BB and initiating them further in the serious art of writing.